With amazing destinations all over Europe, Eurocamp has everything you could need for the perfect family holiday. With a wide range of packages on offer to cater to you, grab a Eurocamp discount code today for a big saving on the holiday of a lifetime. Whether you fancy France, Italy, Spain, Holland or elsewhere, Eurocamp have everything you need to make memories that you’ll treasure forever. Although priding themselves on family holidays, Eurocamp also offers a great range of holiday packages for couples, groups of adults and even a great range of dog-friendly holidays. With more than 160 magical locations across Europe, there’s something for everyone; and with a Eurocamp promo code, you’ll be able to find a holiday spot for less, that you’ll love forever. From the Adriatic to the Algarve, Eurocamp can help you fall in love with Europe. Kids (and some big kids) love a waterpark, and there’s no better choice of waterparks than that on offer with Eurocamp. Wave machines, flumes, splash pools and river rapids, what could be more fun than a summer splashing around a waterpark in the sun? 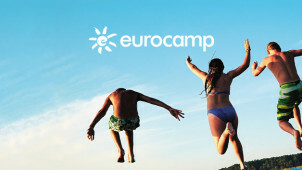 Pick up a Eurocamp promo code today for big savings on your family’s summer holiday. They’ll take care of everything from the travel to the accommodation, so all you’ve got to do is remember to pack your swimmies.